Trout Unlimited’s Wild Steelhead Initiative and Wild Steelheaders United is an ambitious and hopeful effort to protect and restore the wild steelhead. Today, 70 percent of the major steelhead populations in Oregon, Idaho, Washington and California require federal protection and opportunities to catch wild steelhead have diminished dramatically in many rivers. Above all, it is a home to anyone who believes in the quest to protect these fish. The goal of the initiative is to organize, activate, and educate a group of grassroots constituents, regardless of whether a person fishes gear or fly, bait or lure. As demonstrated by history, it is certainly possible to rally conservation-minded steelhead anglers to weigh in on a specific management decision that threatens to eliminate something they value, but there is no precedent for advancing a proactive, sustainable policy agenda at scale through purely volunteer efforts. Chances of conservation success are greatest if we have the backing of as many individuals as possible across all the Pacific states. This is why Wild Steelheaders United is critical. 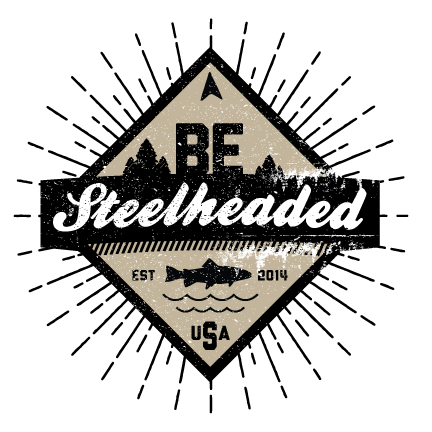 Wild Steelheaders United was established to educate and mobilize the numerous wild steelhead advocates wanting to engage in the Initiative. It is a place where anglers can become more informed about wild steelhead biology and ecology, keep abreast policy issues, and learn about TU’s conservation work. Management strategy and policy for wild steelhead is being shaped today that will affect steelhead populations over the coming decades. Meanwhile, changing climate conditions are reducing streamflows and steelhead habitat in many watersheds, and state and federal budget shortfalls are likely to lead to increased scrutiny and closure of hatcheries. Without a coherent strategy, planning, and sustained action by the people who care the most about this iconic fish, factors such as possible future ESA listings and potential overcrowding onto already limited resources could take our wild steelhead fisheries beyond the tipping point.